Award-winning Spindle Professional is an intelligent Windows printer driver that works with virtually any application, and is designed to help businesses create the right impression, improve document security and save time and money. It’s an ideal tool to streamline and automate communications in small to medium-sized businesses where time and resources are at a premium. Associate a set of rules and criteria to a document and intelligently deliver them by Email, Print and Fax, may be just archive. 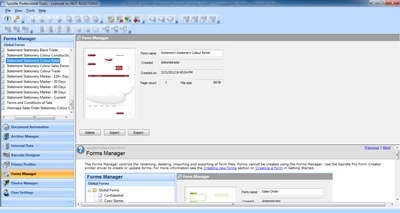 And applies the appropriate corporate image, backdrop or overlay to the document. Archive documents and access them through ERP, CRM, and Share Point or direct from your network. 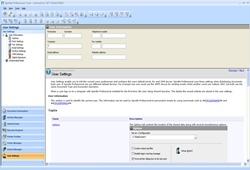 > Improve internal communications - Link documents to CRM and Share Point. Automatically copy in colleagues. 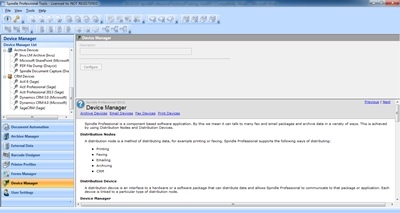 Where could Spindle Professional be used in your business? > Accounts Department - The largest producers of paper in a business. 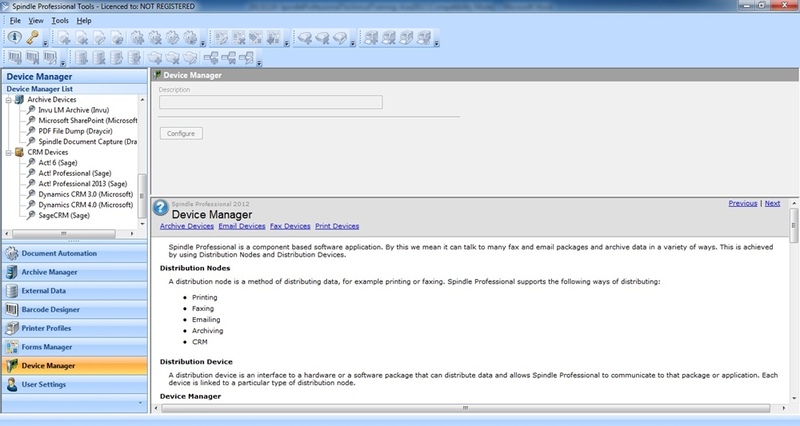 Using Spindle Professional to send these documents via email and fax saves both time and money. > Sales and Marketing - Combining the power of Spindle Professional with your company's CRM system, you can distribute newsletters, email shots, quotations and special offers, all at the click of the button. 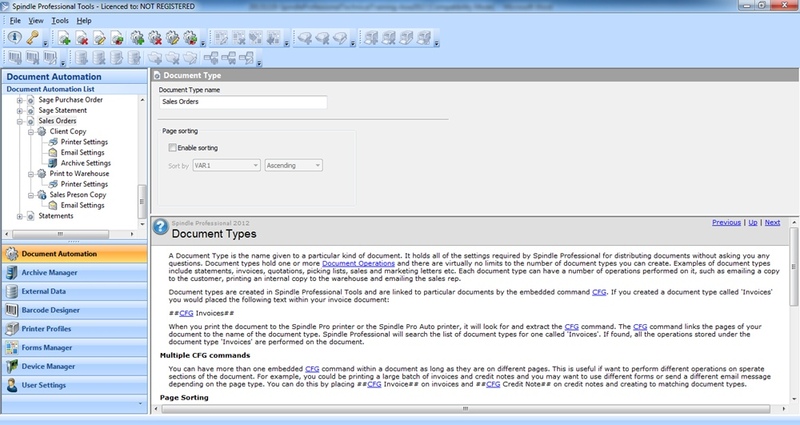 It can also be used to automatically send out PDF literature requests. > Customer Service - Spindle Professional helps get the right information to the right person. > HR - To send employee's payslips by their preferred method; email, fax or printer. How is the Spindle Professional work? 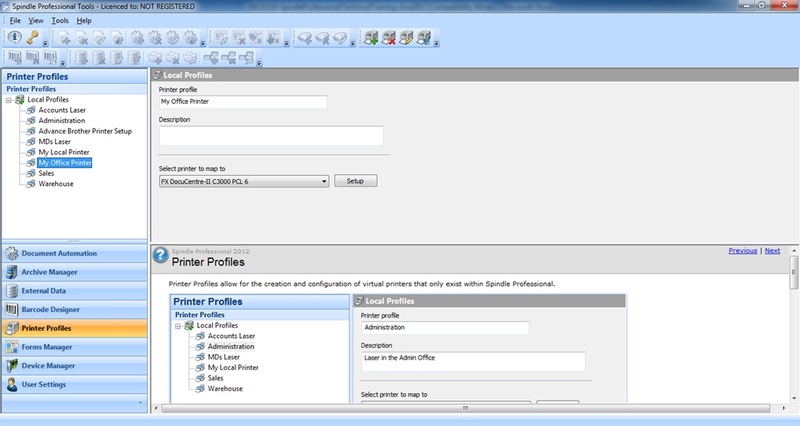 Print from your windows application to Spindle Professional. 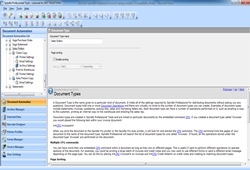 The intelligent will delivery the documents according to via email, sent to fax, printer, archive, CRM, MS Share Point archiving just one click. 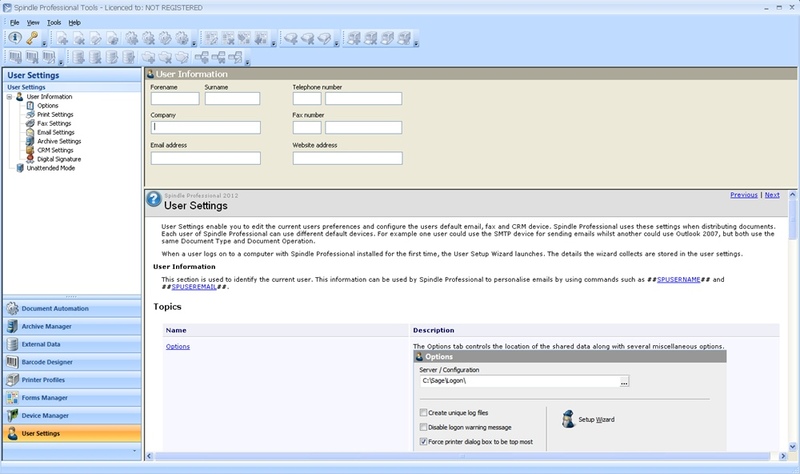 1) User Setting : To Input user information. 2) Device Manager : This is the archived by using Distribution Nodes and Distribution Devices. 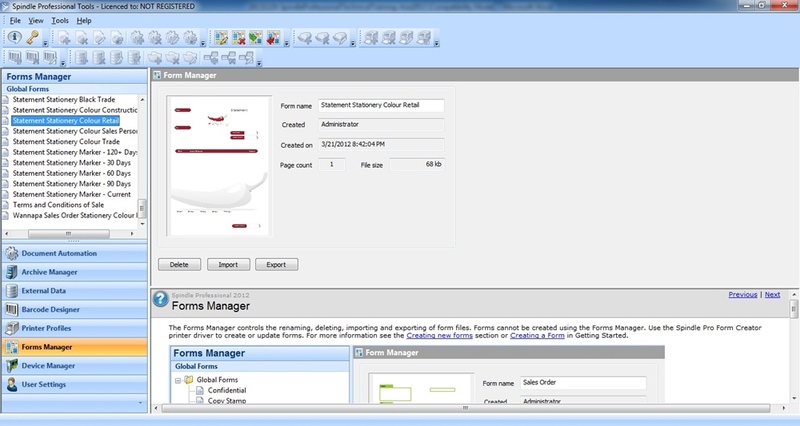 3) Form Manager : Each form can revise by used MS Word by yourself. 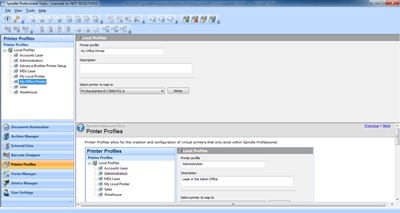 4) Printer Profile : For setting printer. 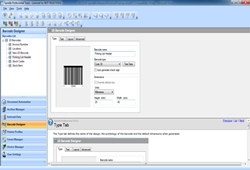 User can create multiple printer . 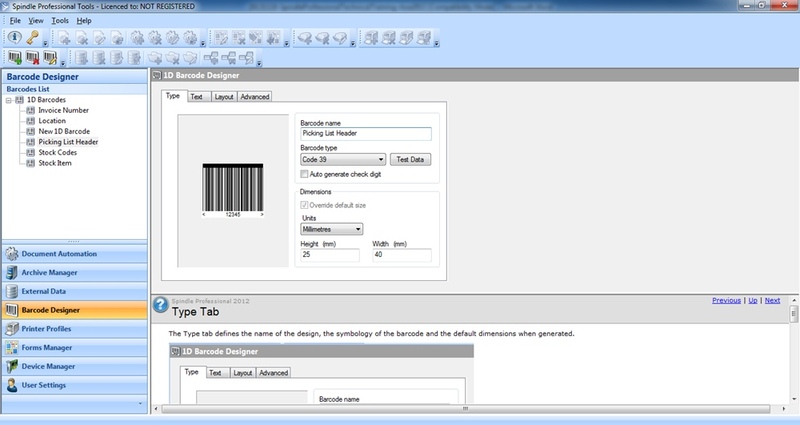 5) Barcode Designer : User can create Barcode. 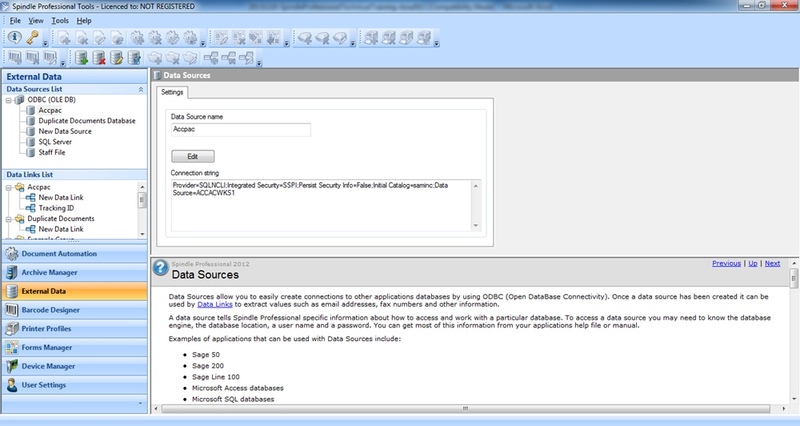 6) External Data : To connect with other data source list.